DIRECT FROM LOURDES - Lord Help Me Walnut Holding Cross. Lord Help Me Walnut Holding Cross. 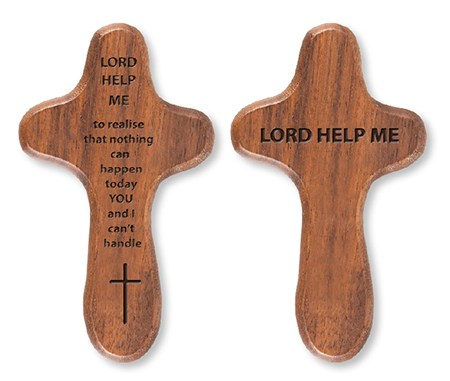 Lord help me walnut holding cross, hand carved with engraved prayer. Wood Holding Cross 3 1/2"